Automated Tax Office Manager incorporates a proven system developed by a leading tax professional. For companies with multiple locations or for those with expansion in mind. Scalability, long-term flexibility, and adaptability are guaranteed. See if these Tax Office Management Software Features suit your needs. Learning one all-inclusive software application rather than multiple programs significantly reduces your learning curve and training costs. Generates a concise breakdown of revenue by processing invoices, recording payments and payment methods, and automatically tracking client balances. Self-service kiosk are designed to boost customer satisfaction by allowing returning clients to check-in quickly and easily from any location. Kiosks will maximize your employees’ time and efforts while minimizing the time your customers wait in line. No longer spend hours and days tracking your referral types on an excel spreadsheet. Immediately identify your best referral sources and view your Return On Investment (ROI) for all your marketing campaigns. ATOM is hosted on dedicated secure servers; therefore, you don’t have to go through the hassle and frustration of installing software and upgrades on your own server. For years, tax offices have been tracking tasks with a pen and paper, checking off jobs when completed. Wouldn’t it be better to automate this process and integrate it into your workflow? We thought so too and that’s exactly what we did. Using historical data you can improve staff utilization by matching client return complexity with staff competency. ATOM’s efficient contact management system automatically updates client data and eliminates redundant data entry and duplication by importing client data from your tax preparation software. Reduce payroll costs by closing your remote offices during slow times or at the end of tax season and be assured customer service will not suffer. With ATOM you can access real-time data for all offices from one central source. Paper savings is a must when it comes to tax office management features. ATOM”s Document Management system will help you transition to a paperless office; thus, reducing your costs of paper, toner and file storage. The most advanced and efficient tools in the industry to capture and funnel leads online. You will convert more leads in less time using ATOM’s Prospect Portal management software. Automated feedback and review system makes it easy to encourage happy customers to share their experience on Facebook, Google+, and Yelp; while less than happy custoemrs will be directed to a more private space for sharing their valuable feedback. ATOM’s Refer-A-Friend Program tracks the referred and referring customers and automatically generates referral letters and mailing labels. Reduce payroll costs by using historical data to plan for future staffing demands. Online scheduling allows your staff to easily access their work and availability schedule even from home. Prepare your office payroll in minutes rather than days. 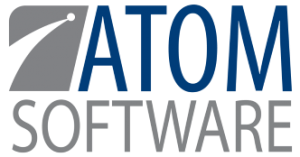 ATOM’s all-inclusive features mean that you no longer need to transfer employee hours into a separate payroll program. Payroll reports are quick and easy to produce, and your employees have ready access to their wage detail. Organize all of your “to-do’s” in one centralized location. By recording and managing your daily tasks you will save time and be assured projects are completed timely and not overlooked. Electronically track and access client files within seconds from your desk rather than an endless search throughout your office for client folders. Employees can access their work schedules, appointments, tasks, messages, and time clock from anywhere.